Wall beds, often referred to as murphy beds, often come with misconceptions fostered by comical portrayals of their misuse in popular culture. Unfortunately for these handy, versatile beds, the stereotypes tend to stick around and lead to myths that must be debunked. 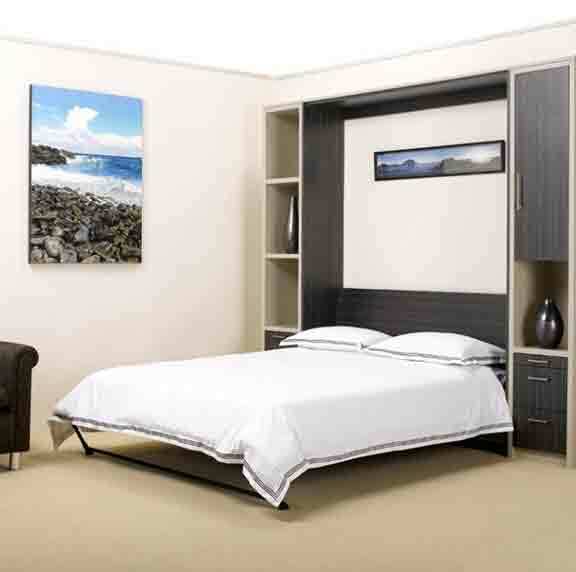 Here are some of the most popular opinions about wall beds and the facts behind the fiction. 1. Wall beds are not safe – they might fall down from their mounts and hurt someone. Reality: Properly installed, wall beds are VERY safe. It’s possible this myth about wall bed safety came about from the use of older models long ago, or from scenes in popular films and TV shows where characters became trapped in a wall bed. Although the scenes were done for comic relief, they don’t paint an accurate picture picture of wall beds. Today’s wall beds have been tested for safety and do not typically fall from their mounts or cause other problems as seen in movies. 2. Wall beds are uncomfortable – the mattresses are lumpy or old. Reality: Wall beds today can use the actual mattress of your choice – like any other bed! You choose the mattress you want for the wall bed frame—no guesswork on the comfort level of your guests! 3. Wall beds take up too much space. Reality: The whole point of a wall bed is to save space! Because you can put the bed away when not in use, it’s the perfect choice to convert any room into a sleep space when you need it. 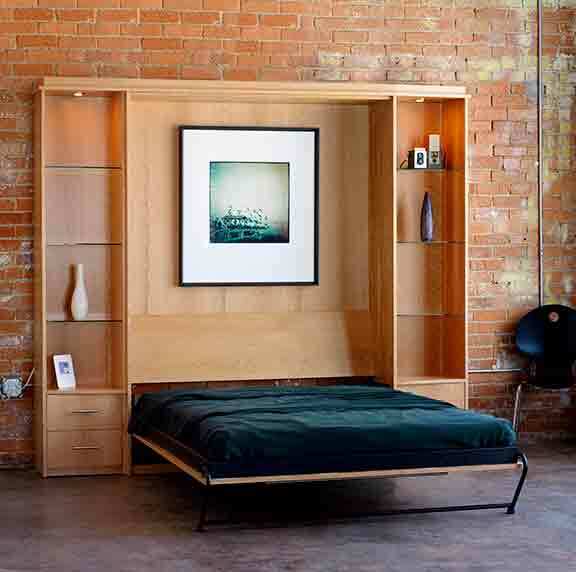 Wall beds are discrete and make the most of your room’s space! You can maximize your available space and still provide comfort for visiting guests when you add a wall bed to any room, such as a craft room, a home gym, an office, or basement. Options you might consider are a side mount or vertical mount wall bed, depending on how your room is laid out and which one you like best! 4. I am handy, I can install this myself. Reality: While it is possible to purchase a prefabricated wall bed frame and mattress to install on your own, if you’ve never installed on before, you want to make sure you know how specifically for your space. A design expert can help you meet your goals and make the most of your space. Putting your trust into a sight unseen product means you won’t get the quality customer service of experts who have been doing it for years. Why DIY when you can have a professional take care of the install? The wall bed process at NewSpace will help you feel more secure in your purchase and provide you with more space in your home since you won’t have to dedicate a whole room in your home to an infrequently used bed. Trust the wall bed experts at NewSpace Home Organization to find the right solution for your needs! Schedule an appointment today!